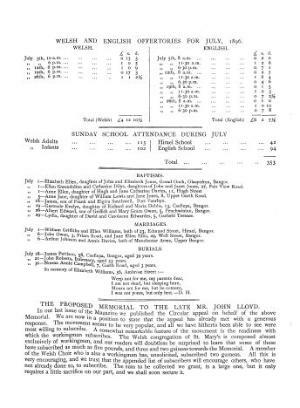 A monthly religious periodical intended serving the Established Church in the Bangor parish. The periodical's main content was denominational news from the parish. Amongst the periodical's editors were Thomas Edwin Jones and J. D. Jones. Associated titles: The Dawn of the Day (1896); St Mary's Church Parish Magazine.